BALLOONATICS – The Balloon Delivery Specialists! 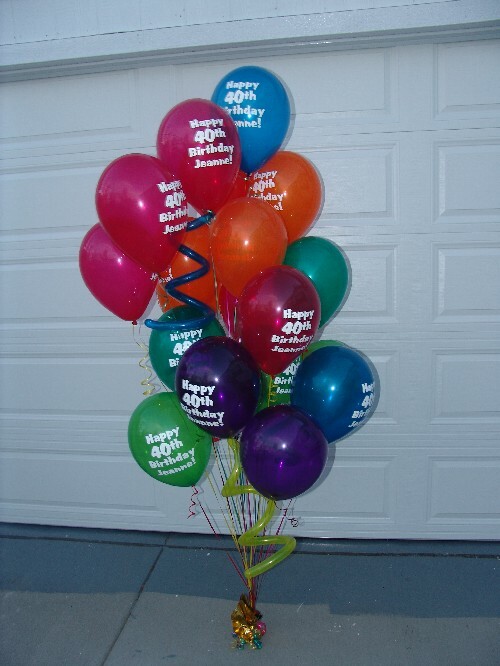 Balloon deliveries can be anything from a bunch of helium balloons to any number of our custom creations! 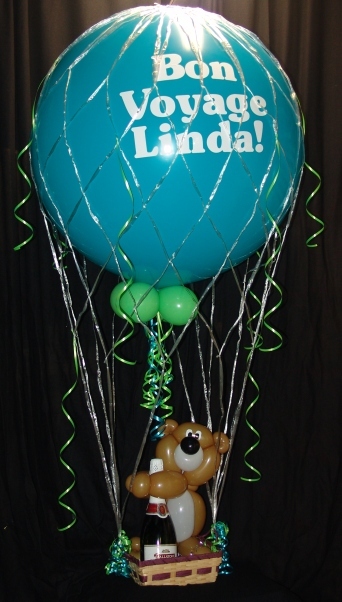 The Bear in the Hot Air Balloon was ordered for a retirement party for Linda. She was retiring from Miller/Coors Brewing Company. Yes, that’s champagne in the basket not beer! We custom imprinted the balloons in the 3rd pic for the Jeanne’s 40th Birthday. 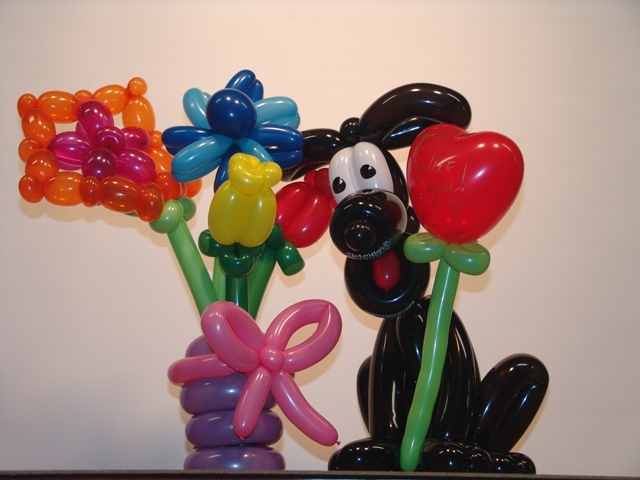 The Balloon Dog & Flowers was ordered for someone’s birthday. The sender loved our Balloon Flowers and the recipient loves dogs so we combined the two. Contact us for a special delivery that you both will never forget!